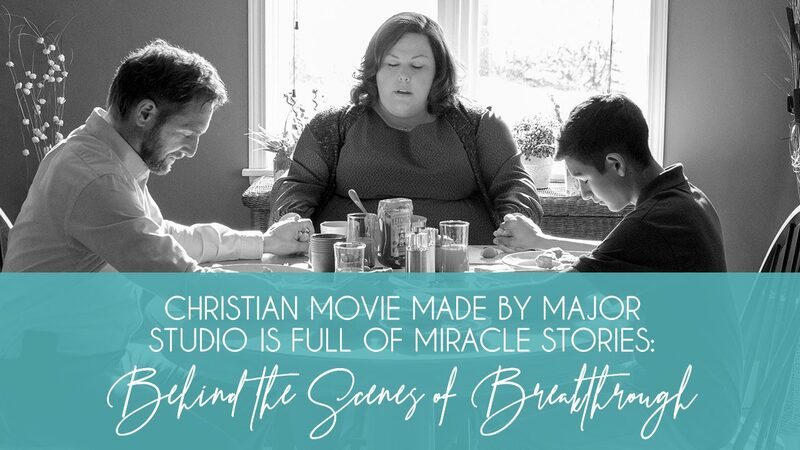 On April 18, Movieguide® had the unique pleasure of visiting the set of BREAKTHROUGH, a new faith-based movie starring Chrissy Metz (THIS IS US), Josh Lucas (SWEET HOME ALABAMA) and Mike Colter (LUKE CAGE). The movie was being shot in Winnipeg, Canada, a stand-in for Missouri, where the story takes place. BREAKTHROUGH is a true story about a family who went through a traumatic and miraculous event. Joyce Smith and her husband Brian were unable to conceive, so they adopted a Guatemalan baby boy, John. When John was 14-years-old, he was playing out on a frozen lake in Missouri with his friends. All of a sudden John fell through the ice and was unable to get out. For 15 minutes, John was underwater until emergency responders were able to pull him out of the water. Paramedics and doctors performed CPR on him for 43 minutes to no avail and were ready to call time of death. However, John’s mother Joyce was allowed to enter the room and immediately started praying loudly, “Lord, Holy Spirit, just give me back my son!” Seconds later, life came back to John’s body and his heart started beating again. However, even with this miraculous recovery, the doctor believed that the brain damage would be too severe for John to ever be normal. To their amazement, two weeks later, John walks out of the hospital and is a living testimony that miracles still happen. Movieguide® asked Joyce about the miracle that took place with her son, and she was quick to respond that the miracles haven’t stopped. “BREAKTHROUGH [The Movie] is a miracle,” Joyce said, “how it even happened. 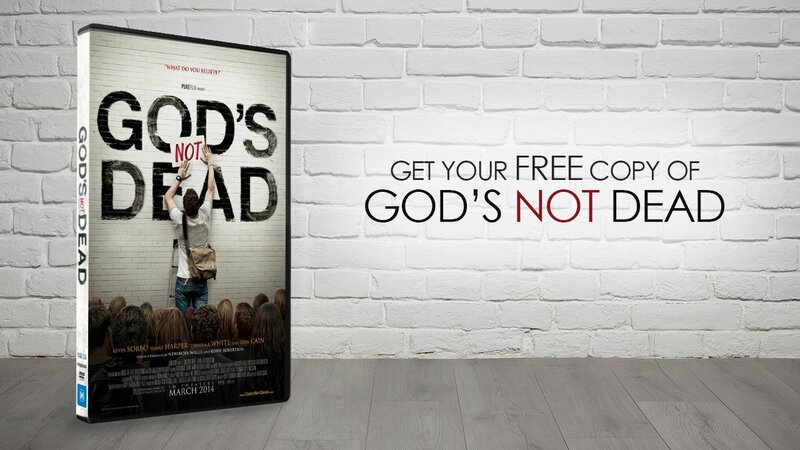 It just proves that God is who he says he is.” How the movie came about truly was unique. The movie’s producer, DeVon Franklin, whose credits include movies like HEAVEN IS FOR REAL, MIRACLES FROM HEAVEN, THE STAR, and THE PURSUIT OF HAPPINESS recalled how miraculous the making of the movie has been. “Two years ago, I was promoting MIRACLES FROM HEAVEN,” DeVon said, “I was on a program on TBN, and as I’m there in the green room, there’s this mother, a pastor, and this latino kid. I didn’t know who they were.” The three people DeVon saw on the show was Joyce, her son John and their pastor Jason, who were simply sharing their story on a show that Rev. Samuel Rodriguez was hosting. DeVon continued, “Their segment was [before mine], so they went on and started telling their story, and I’m in the green room hearing their story, and I’m saying, “this is unbelievable!” So, when they came off, I said, “listen, I think I can help you tell your story. I think there’s a book here, and there’s a movie here, and if you would partner with me, I guarantee we’d get it done.” They agreed to work with DeVon. While the proof of the movie is always in the final product, the atmosphere on the set was noticeably different from other sets. The cast members were excited to talk about the movie and even their personal faith. The actual John and Joyce Smith were also there to talk about their experience, along with their pastor Jason Noble who spent 18 hours at the hospital with the family during the incident, and more in the days that followed. Everyone on set was excited about this story. Joyce Smith, who had just met the actress Chrissy Metz, who’d be playing her, said the experience of getting the movie made had been “phenomenal”. “They are great people” Joyce told Movieguide®, “The one thing I’ve noticed about them all [the cast and crew], they’re very humble. They’re people. They want to be liked, and they want to like you. That’s what we’ve experienced here.” Joyce’s son John agreed and stated the movie is, “going to show people that this isn’t fake. That this actually happened, and that God was behind all of this. Not just the story itself, but the actual movie.” John, who’s still in High School, shared that he now feels God is calling him to go into the ministry. In the end, the President of the studio hopes that “the emotional experience of watching the movie together” will bring families closer. BREAKTHROUGH releases April 12, 2019.